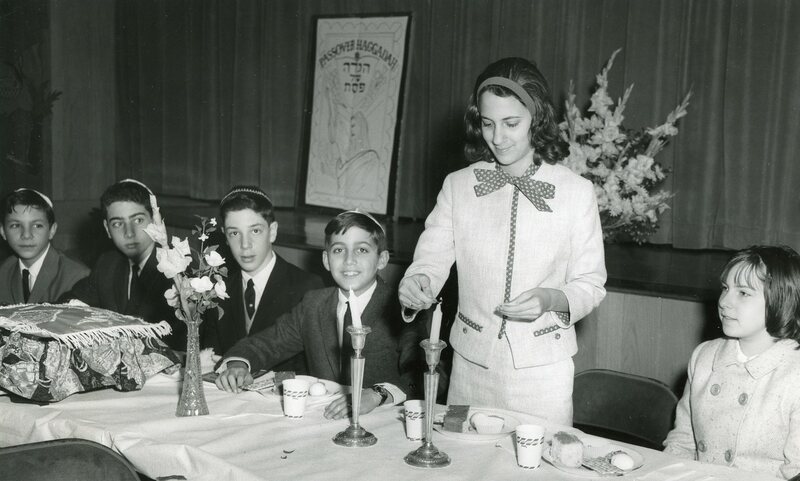 The young adult Jewish community of Detroit has been turning heads for some time now, earning a reputation as the little community that could. 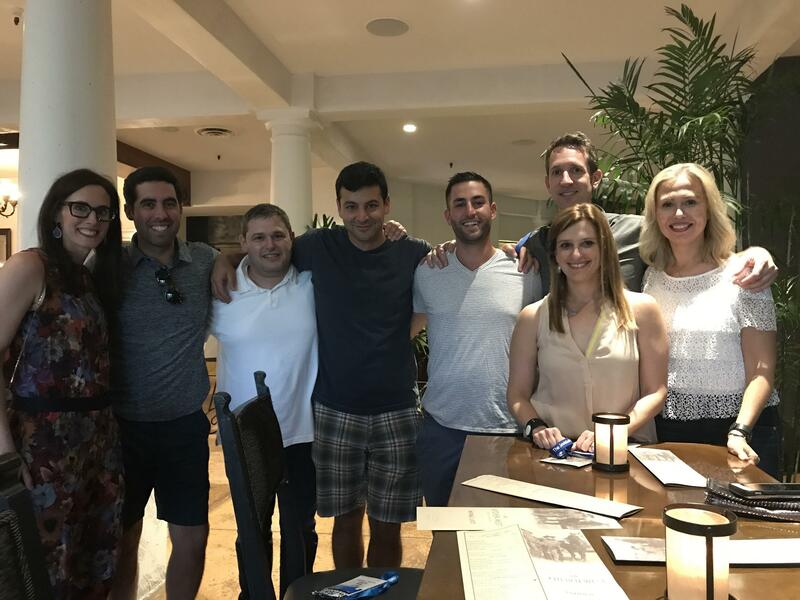 While our numbers are smaller compared to other Jewish populations in some major cities, our engagement and involvement stats have made us a national model for Federation young adult divisions across North America. And this year, Detroit is beating its personal best with a total of 19 passionate and invested young adults that will make up its National Young Leadership Cabinet delegation. Cabinet is Jewish Federation of North America’s (JFNA) elite leadership-training program for people ages 30 to 45. 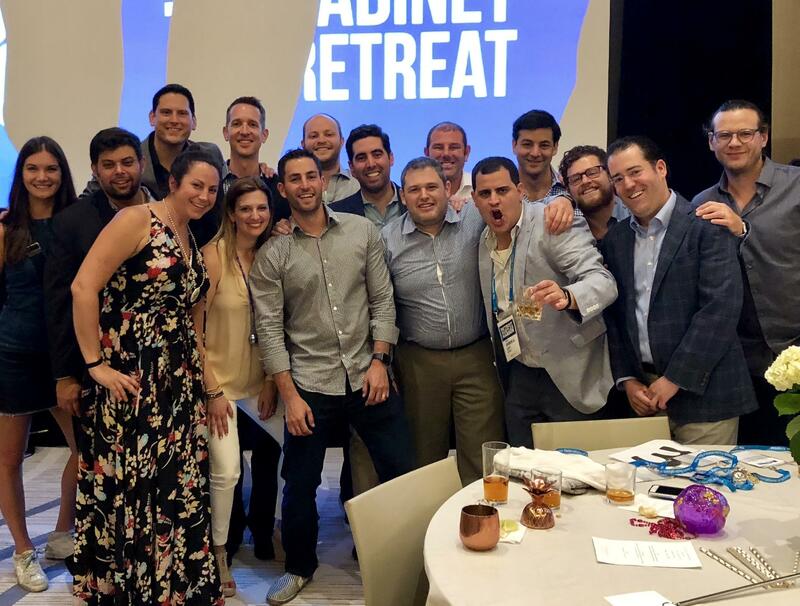 It attracts the best and the brightest, the top philanthropic-minded leaders of the Jewish community from across the country. Participants must be nominated by a local Federation professional, approved by the CEO and complete an application process. Once accepted, Detroit members are given unique opportunities to deepen their relationship with the Detroit Federation and its 17 partner agencies through educational, social and fundraising experiences. In addition, Cabinet members travel abroad each year to deepen their knowledge of Federation’s impact worldwide so they can be more effective leaders, advocates and storytellers in their home communities. Recent destinations have included Morocco, Spain and India. This spring the cohort will travel to Georgia and Russia. “Being a part of Cabinet is not only about what you’re giving, or getting. It’s about allocating your time, treasure and talent to something that matters where there is a need – and how that unexpectedly comes back to the giver,” said Ilana Liss, Detroit Cabinet Co-Chair. The Cabinet program has been going strong for 55 years, training and inspiring over 4,000 young adults. Over the years, Detroit has had more than 150 individuals represent our community at Cabinet. Many alumni have gone on to serve in major community leadership roles including Presidents, Campaign Chairs and even the CEO of our Detroit Federation, as well as board members of the Jewish Federation of North America, JDC, JAFI and World ORT. “Entering my first year on Cabinet this past May, I didn’t know what to expect. My perception of Cabinet was that it focused heavily on the fundraising aspects of Federation, and I wasn’t sure if this really aligned with the value I place on community involvement and volunteerism above financial giving. But when I got to Retreat, I quickly realized that my perceptions of Cabinet were inaccurate. Yes, Cabinet members are asked to support the local Federation’s Annual Campaign with a meaningful gift but, more importantly, we’re asked to be ambassadors — educated and active community members making a genuine effort to connect with others as we come together to invest in our collective Jewish future, whether in the front lines or in the back trenches. At Retreat this past July, we participated in multidisciplinary sessions which gave us a greater understanding of the work of Federations nationwide, their local and global partner organizations and the impact community involvement and campaign dollars have on so many people. We were also given the space and time to make real connections with our fellow Cabinet members from across the country. In the month following Retreat, I started to see Cabinet becoming a bigger part of my social and professional life. My cohort initiated events, uplifted and supported one another, met nationally in different cities for business and pleasure and collaborated on local and national projects. Cabinet members make up a network of doers — like-minded individuals that want to elevate each other as we all work to better safeguard our Jewish community — locally and nationally, and I’m in the midst of getting my feet wet and fully comprehending what that means. Despite the apparent evidence in front of me, I was still skeptical. Can you really build lasting relationships in just a month? But Cabinet did exactly that. In Retreat, we’re carefully curated to bond. Not with just run-of-the-mill icebreakers, but through further exploring and tabling our values and seeing how so many others around the table share similar sentiments, both personally and professionally. They say it takes a village to raise a child (or an idea, or a project for that matter) and Cabinet is that village. Once united with other individuals who share similar passions, values and commitment to one another and to the Jewish community at large, the impossible becomes significantly more doable. If you are interested in learning more about Young Leadership Cabinet, contact Megan Topper at topper@jfmd.org or Lauren Rubin at lrubin@jfmd.org. 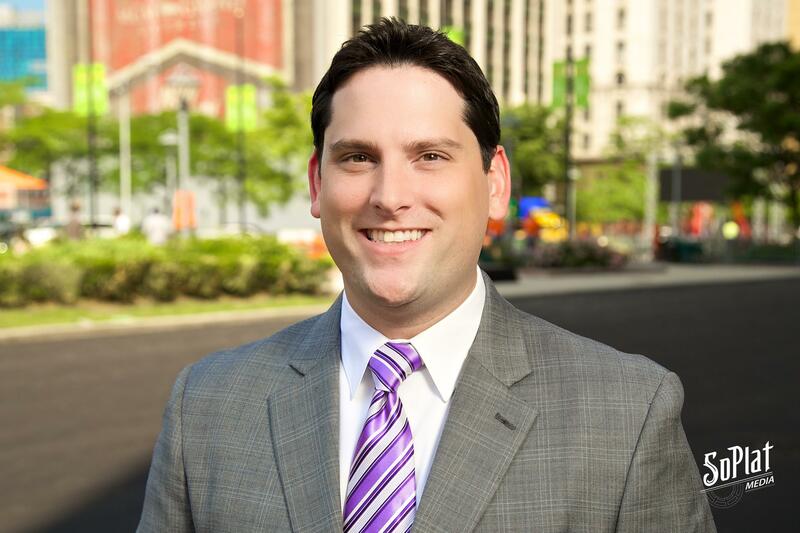 Adam is currently on the United Jewish Foundation Real Estate & Property Management Committee and serves on the Hillel of Metro Detroit board. 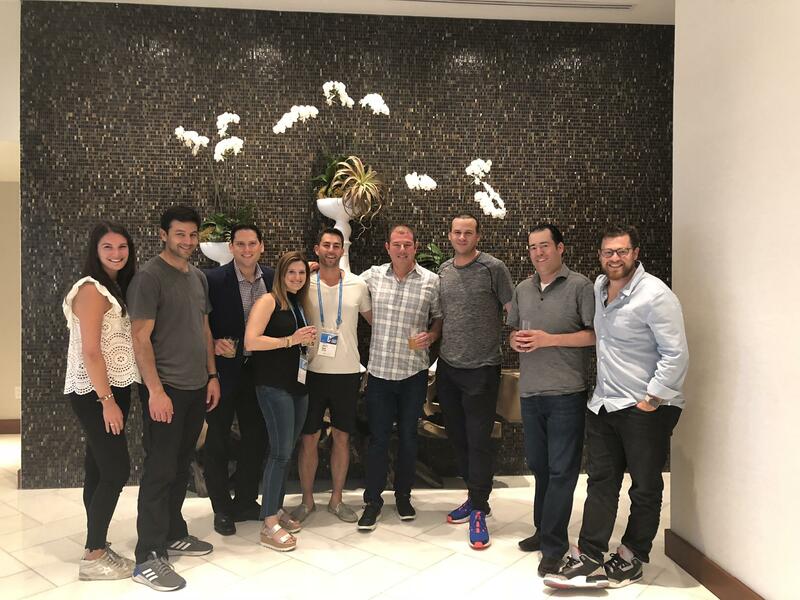 He was a participant in Federation’s Emerging Leaders and Philanthropists Mission, which focused on engaging community couples to better understand the mission of the Federation and the importance of Jewish philanthropy. 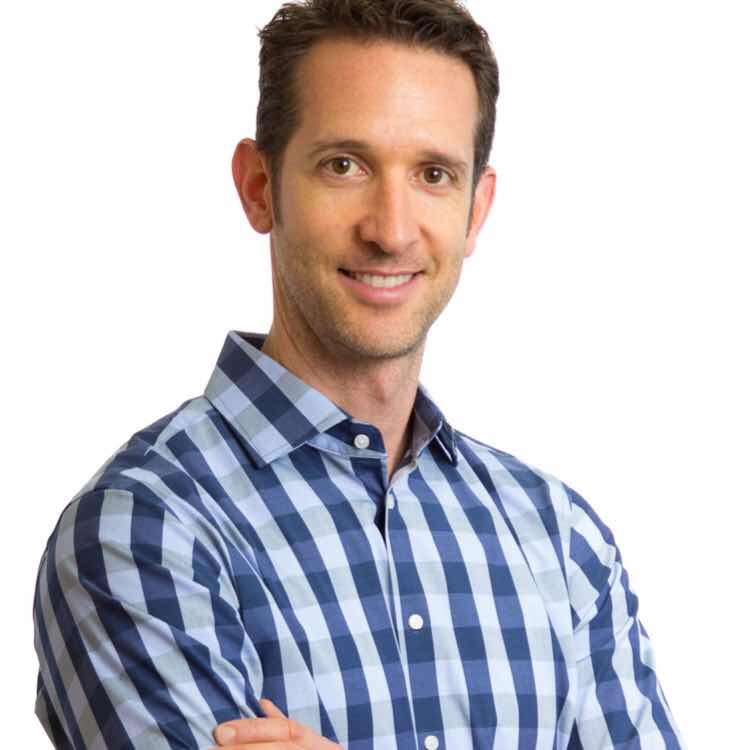 Adam is the COO of Woodbury Management, a family-owned real estate business. He and his wife, Meryl, have an 8-month-old daughter named Frankie. He is very close with his family and hopes to continue the legacy of his grandparents and his parents as active members of the local and national Jewish community. 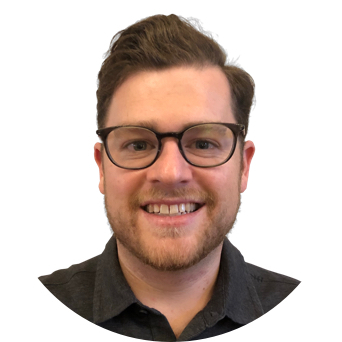 In addition to joining Cabinet this year, Josh is on the board of Hebrew Free Loan, Midtown Detroit, Inc. and Dodge for Detroit, and he was a participant in Federation’s Emerging Leaders and Philanthropists Mission. His charitable work, which includes sponsoring the Boy Scouts of America Dodge for Detroit Dodgeball Tournament, underscores his commitment to the city he calls home. Josh is the founder of Rebuild Group. He and his wife, Michele, are proud new parents to their three-month-old Sonny. Originally from Los Angeles, Andrew has only been in Detroit for a year and already is an active member in the community. He was a participant in Federation’s Emerging Leaders and Philanthropists Mission, and he is active with AIPAC. Andrew is the President/CEO of Kravis & Wurgaft, P.C. He is General Counsel for The Kailash Satyarthi Childrens’ Foundation of America. Andrew is married to Jennifer, a native Detroiter whose family is very involved in the Federation as well as the campus Hillel agencies. They are the proud parents of one-year-old Theo. Although this is his first year on Cabinet, Shimon is no stranger to Federation. 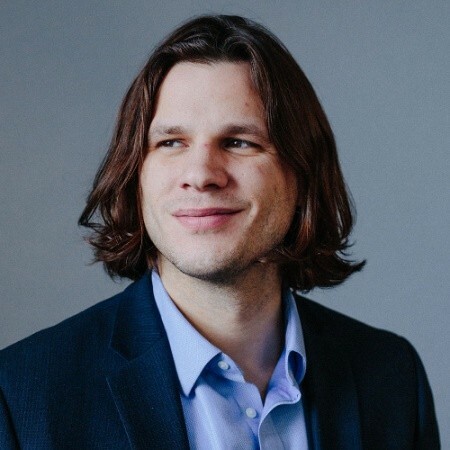 He is currently on the NEXTGen Detroit Executive Board as well as the Partnerhship2Gether Young Adult Committee, NEXTGen Connect and NEXTWork Committees. In the past, he served as the Federation’s Senior Strategic Advisor and was a participant in Federation’s Emerging Leaders and Philanthropists Mission. Shimon is the Founding Principal of Northend Capital. He is a proud graduate of the University of Haifa, IDC Herzliya and Harvard Kennedy School where he was honored to represent his class as the commencement speaker. He is engaged to Jennie Gibson, and they live in University District, Detroit. Shimon loves people, traveling and big ideas that make an impact. Currently living about two hours outside of Metro Detroit, Stefanie is looking to give back and create community from a distance in her first year on Cabinet. She is an Acute Care Surgeon at Borgess Medical Center-Ascension Health in Kalamazoo. Stephanie has worked with the ABC News medical unit and continues to act as a consultant for local media, providing education and outreach opportunities regarding health, injury prevention and policy. 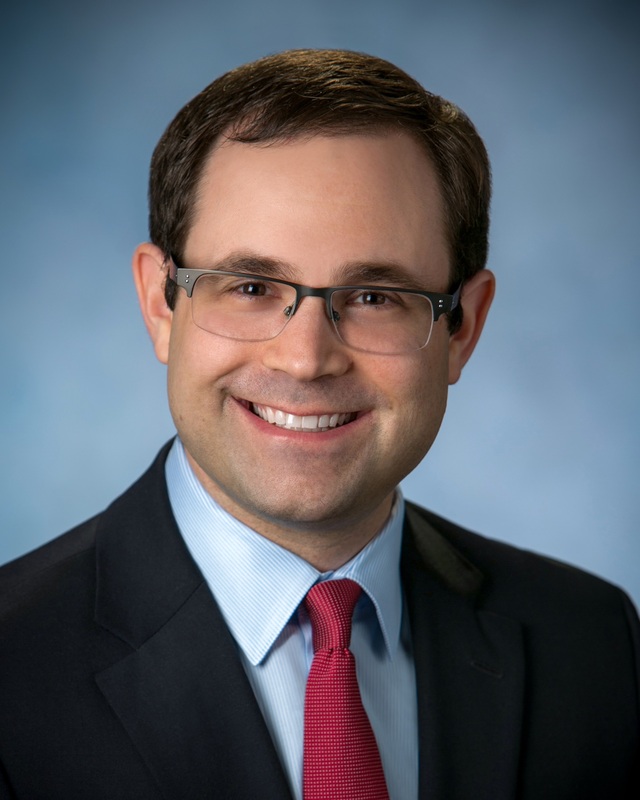 Steve is on the Jewish Federation of Metropolitan Detroit’s Board of Directors, serves on the NEXTGen Connect Committee, is on the Michigan State University Hillel board, is a Past President of NEXTGen Detroit and recipient of the Mark-Lis Young Leadership Award. Steve and his wife, Jessica, have three children: Alexis, age 8; Jacob, age 6; and Dylan, age 2. Steve is a Partner at Honigman, Miller, Schwartz and Cohn LLP. In addition to family responsibilities and the demands of his law career, Steve still finds time and makes it a priority to give back to the community. 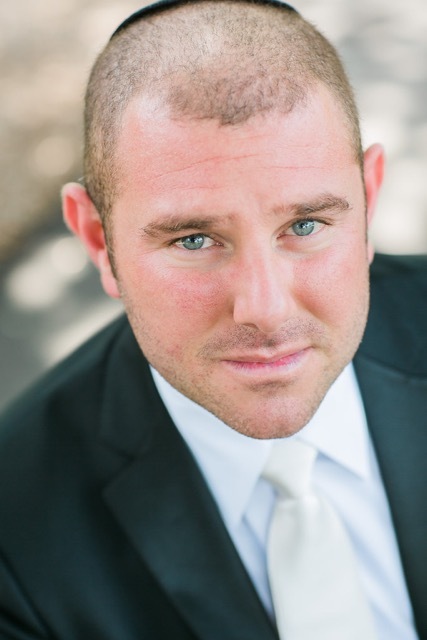 Aaron is the COO of Uniland Corporation and an active member within the local real estate and construction community. He was named Young Builder of the Year by the Home Builders Association. Aaron is passionate about getting young individuals interested in skilled trades, working with educational institutions and reaching out to students and families to explain the wonderful opportunities available within the local construction industry. 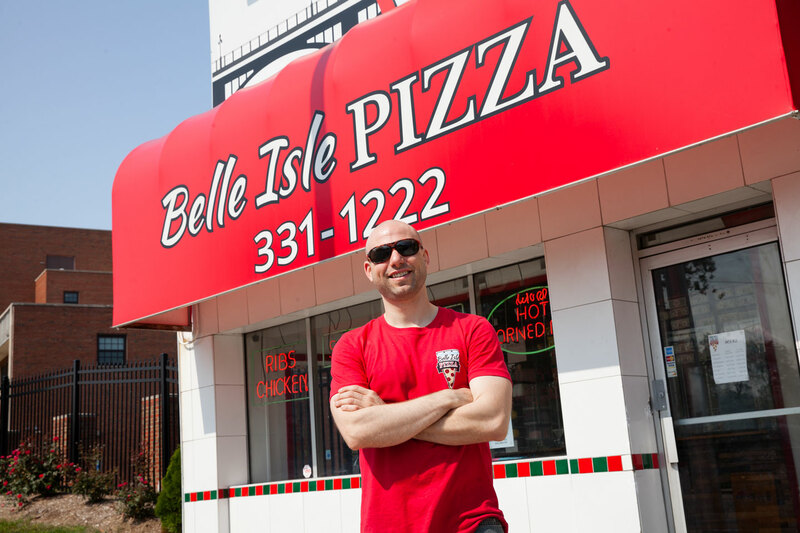 Aaron is a family-man and fourth generation owner of his great-grandfather’s business. He loves history and is very tied to his family’s deep Detroit roots. Prior to joining Cabinet, Mark was a participant in Federation’s Israel & Overseas Young Couples Group and Chairperson of ORT’s Rub-A-Dub 2018 event. 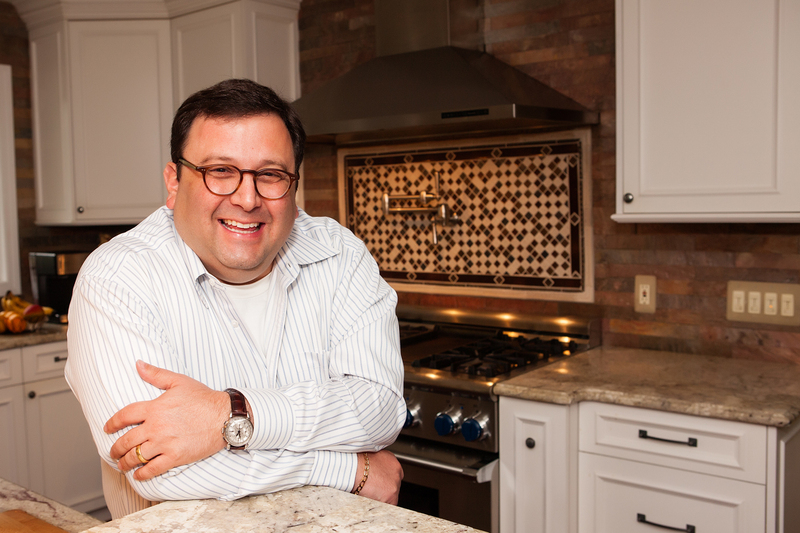 Mark is deeply connected to Jewish tradition and strongly believes in the importance of Jewish philanthropy and tzedakah. He is the President of Tapper’s Diamonds & Fine Jewelry, a family business. Mark and his wife, Leora, have two children: Adi, age 3, and Shay, age 1. Steve is a member of the United Jewish Foundation Board of Governors and serves on the Federation and United Jewish Foundation Finance Committee. 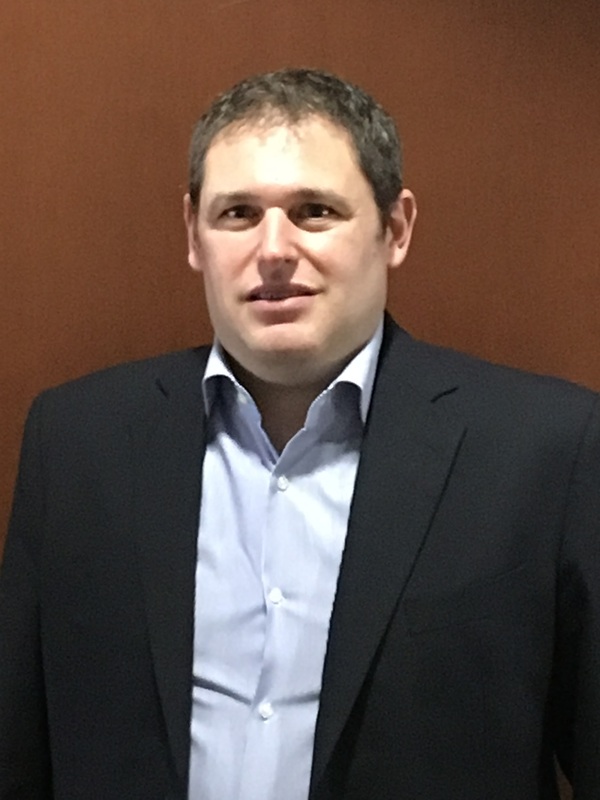 Steve returned to Michigan with his family, after working 12 years in New York City, to launch Marnell Management, which manages a private investment partnership employing a long/short equity and opportunistic credit strategy. This will be Andrew’s third year on Cabinet. 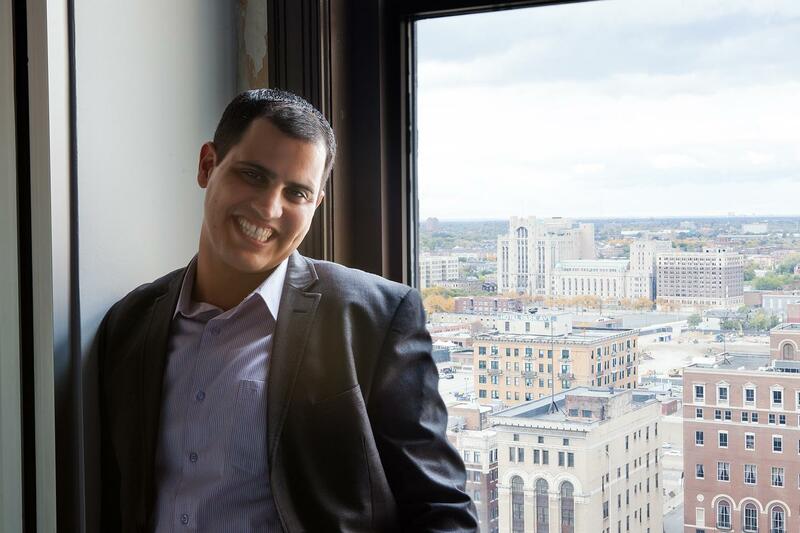 He was a participant in Federation’s Emerging Leaders and Philanthropists Mission and is enthusiastic about continuing his family’s legacy of leadership and philanthropy here in Jewish Detroit. 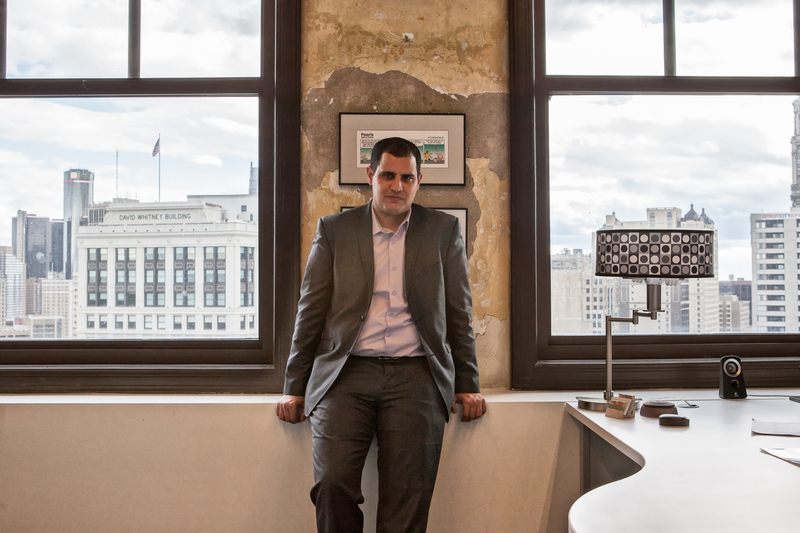 Professionally, Andrew is a Development Associate at The Platform working on managing real estate developments in Detroit. Andrew is married to Alexandra and they have two children, Bo and Maude. 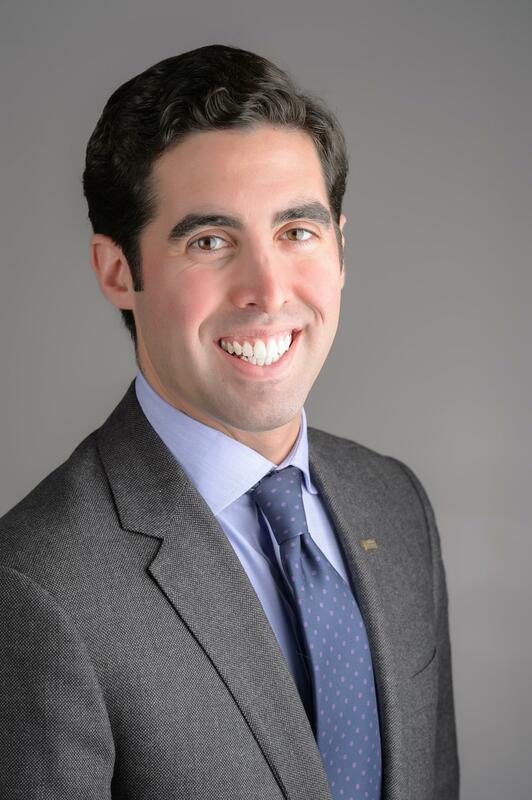 Matt served as Co-Chair of Federation’s Emerging Leaders and Philanthropists Group and Mission and is currently serving on the United Jewish Foundation Capital Needs Committee and the board of Jewish Senior Life. In addition, he is a member of the 2016 class of the Wexner Heritage Institute Fellowship, a Co-Chair of the Yeshiva Beth Yehuda Ambassador program and is heavily involved with The Shiffman Family Foundation, which governs the family’s charitable contributions internationally. 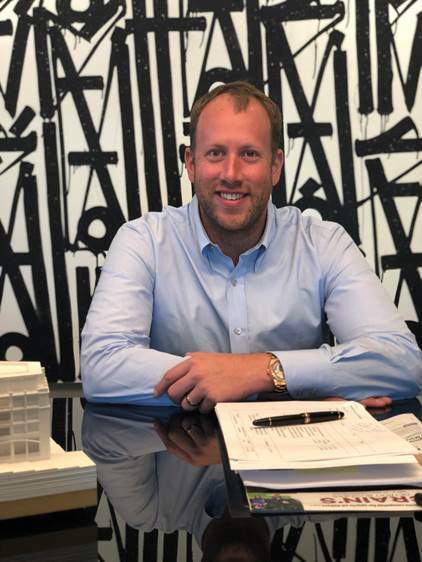 Matt is the current President and Chief Executive Officer of Alden Development Group LLC., a privately owned real estate development, investment and asset management company. He is also involved with Iconic Hospitality, an operator of full-service restaurants in Michigan. He is married to Mallory and they welcomed their first son, Emerson, in April 2018. Ari is a member of Federation’s Retirement and Insurance Committee and feels a personal sense of responsibility to ensure the Jewish community’s future. 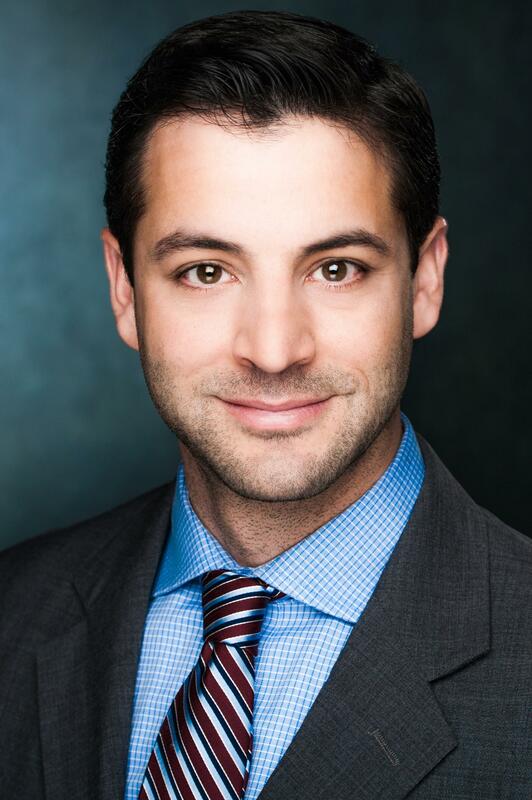 Ari works in banking and finance in a private practice as a Certified Financial Planner with a specialty in insurance. He is married to Monica and they have three children: Erica, Jacob and Tamar. 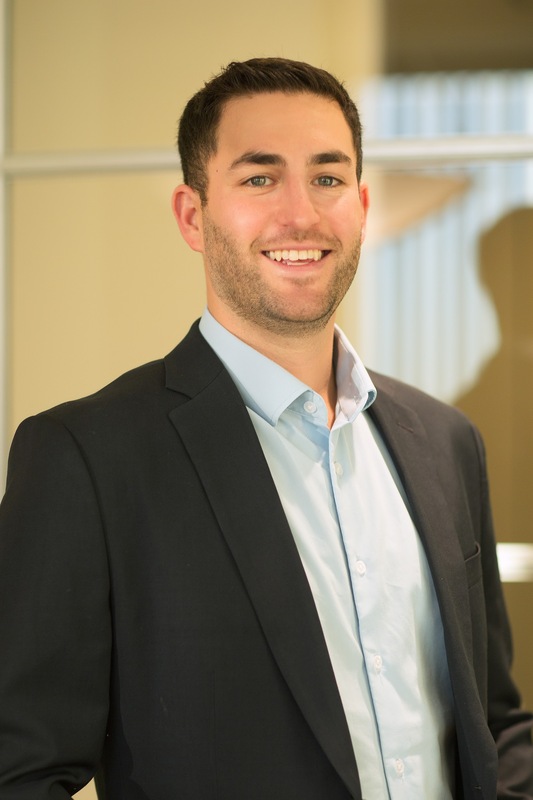 Greg has served on the NEXTGen Detroit Board of Directors, participated in NEXTGen Detroit’s Entrée Program, was on the NEXTGen Detroit Couples Committee and was a participant in Federation’s Emerging Leaders and Philanthropists Mission. Additionally, Greg was the chair of YAD’s (now known as NEXTGen Detroit) first Young Leadership Mission to Israel. Greg is a Partner of Summit Sports, Inc. He is married to Rachel and they have two children, Brodie and Gabriel. 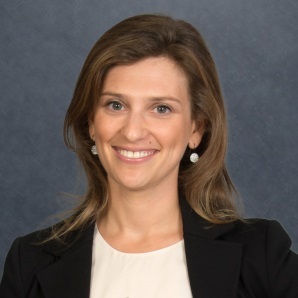 Ilana Liss is a Co-Chair of Detroit’s National Young Leadership Cabinet, Jewish Federation’s Young Women’s Philanthropy and the Forman 2 Leadership Group, along with her husband Zach. Additionally, Ilana serves on the boards of the United Jewish Foundation and Hillel Day School. where she is a participant of the OnBoard program. Previously, Ilana served as President of Federation’s YAD (now known as NEXTGen Detroit) and is a recipient of the Mark-Lis Young Leadership Award. Professionally, Ilana is Managing Director at Schechter Wealth. She and Zach have three daughters and a puppy. Danny currently sits on the United Jewish Foundation and Federation Finance Committee. He is highly committed to community, leadership and philanthropy and served as a Co-Chair of Federation’s Emerging Leaders and Philanthropists Group and Mission. Danny is the Senior Vice President of H.W. Kaufman Group, a global insurance organization. He is married to Morgan, originally from Los Angeles, who is a member of the NEXTGen Detroit Board and Co-Chair of Ben Gurion Society Events here in Detroit. Matt is a Detroit Cabinet Co-Chair. 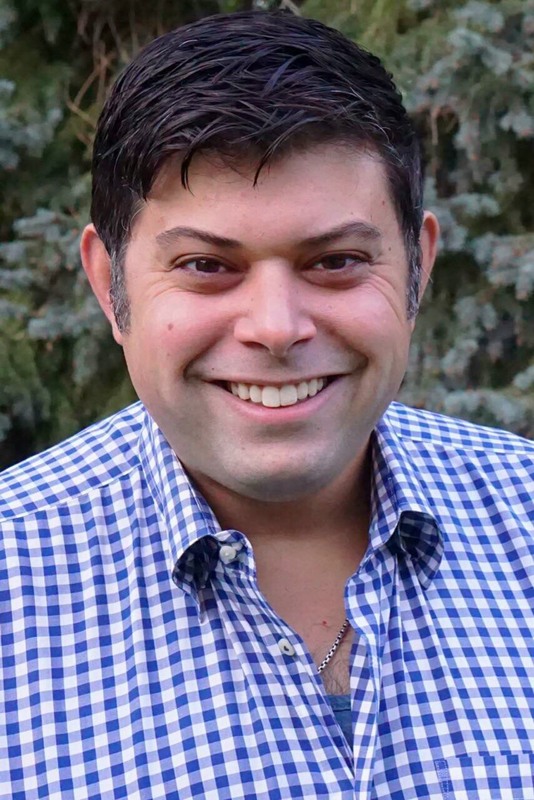 He currently sits on the Jewish Federation of Metropolitan Detroit’s Board of Governors, is on the Investment Committee for the United Jewish Foundation, is a Past President of NEXTGen Detroit and served as a Co-Chair of Federation’s Emerging Leaders and Philanthropists Mission. 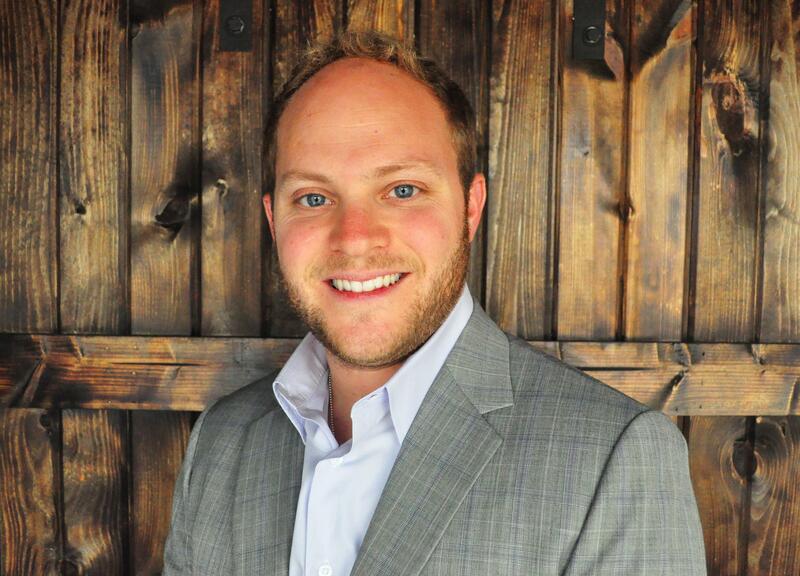 Matt also serves as Vice President of Michigan ORT and is a member of Yad Ezra’s Board of Directors. 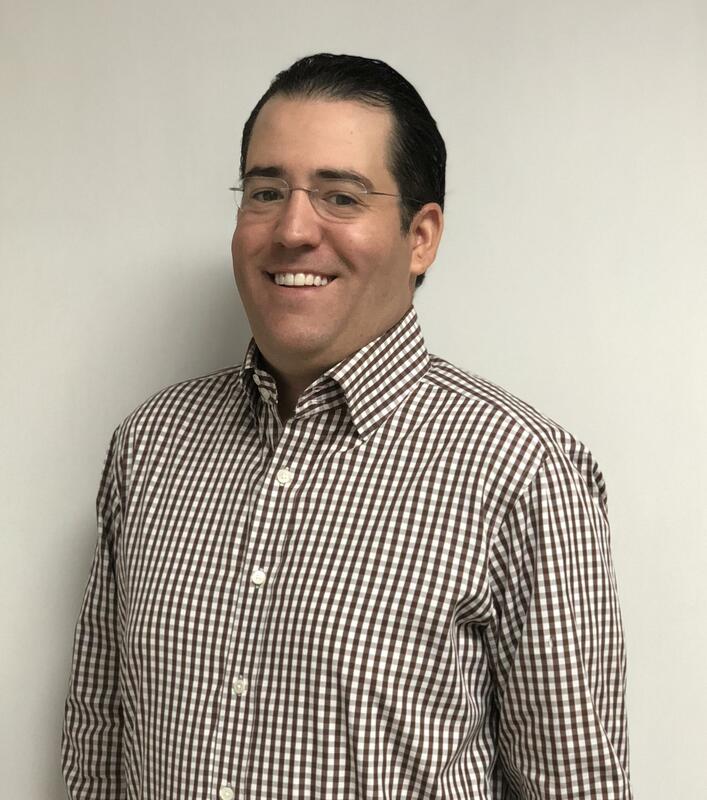 He is the Chief Marketing & Business Development Officer for Telemus, a financial life management firm with offices in Southfield, Ann Arbor, Chicago and Los Angeles. Matt and his wife, Jodie, recently welcomed their first child, Kaia, in April. This is Eric’s fourth year on Cabinet. He is a member of the United Jewish Foundation Capital Needs Division and the Professional Advisory Steering Committee, as well as the Federation’s Israel and Overseas Committee. Eric also serves as a Jewish Agency Representative and participated in the Grosfeld 12 Leadership Mission and Program. Regina is an immediate past Co-Chair of Detroit’s National Young Leadership Cabinet. She currently serves on the Hermelin Davidson Center for Congregational Excellence Committee and the Franklin Jewish Community Committee. In addition, Regina is a member of the Jewish Women’s Foundation, a member of Federation’s Women’s Philanthropy Executive Board and serves as a volunteer for Hillel Day School. She is the recipient of the 2015 Sylvia Simon Greenberg Young Leadership Award and was a participant on the Grosfeld Leadership 3 Program. She and her husband, Darren, have two daughters, Aryana and Talia. 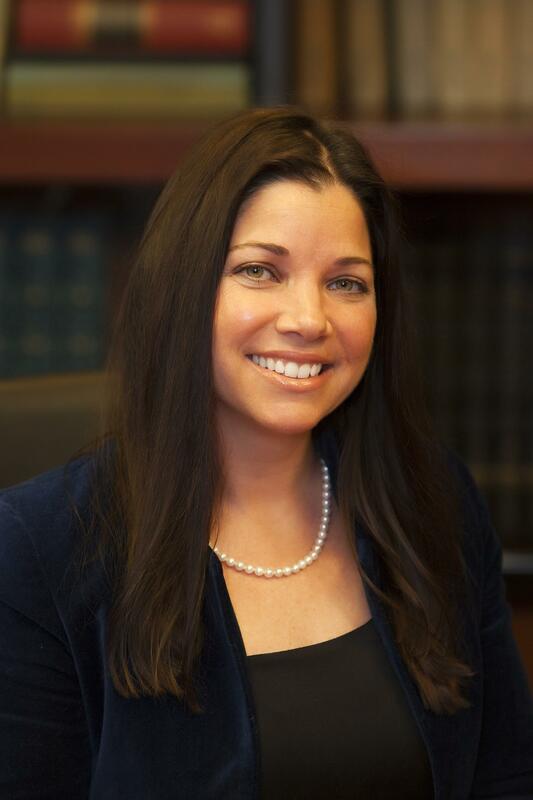 Rachel is a member of the Women’s Philanthropy and Jewish Family Service boards. Her previous community involvement includes being an immediate past Co-Chair of Detroit’s Cabinet, a member of the New Leaders Project, working on the YAD Growth and Outreach planning committee and participating in the Grosfeld 3 Leadership Program. Rachel is the recipient of the 2018 Sylvia Simon Greenberg award for outstanding leadership. Additionally, Rachel is currently participating in the Wexner Fellowship program. She and her husband Josh have two children, Oren and Aden.